Sepiolite is a clay mineral of fibrous magnesium silicate. 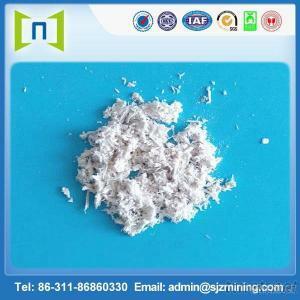 It is a hydrous aluminum-magnesium silicate with chain structure. Usually the color is white, light gray, pale yellow etc. Sepiolite is opaque and lusterless. Its specific gravity is 2-3.2, the hardness is 2-2.5, and melting point is 1500-1700 ℃. It is innoxious, flavourless and high temperature resistance. Sepiolite has low shrinkage rate, good plasticity and insulation, high salt-resistance etc. 3. Coating and Cosmetic: thickening agent, thixotropic agent, absorbent. 5. Non metallic material for sound, heat insulation, ceramic, friction, substituting asbestos. 7. Environmental Protection: Purify gas, water, absorb ion of heavy metal. 11. Modern Science in National Defence: Special ceramic parts for atomic energy, rocket and satellite etc. MARKET: No restricted, all over the world.